Local Towing Service Olympia: If You Run Out Of Gas, Call Us! If you happen to be driving through the middle of nowhere and your gas light suddenly comes on, it can induce instant panic. You may have been so focused on the road that remembering to stop to fuel up completely slipped your mind. If your car does run out of gas, there are a few easy tips that you can follow to ensure your safety and help you get on your way quickly. Serving Olympia, Washington and the surrounding areas, Black Lake Towing LLC is here to help you with our premier towing services. The next time that you need a tow, call us! As soon as your car’s gas light comes on, don’t panic. Many cars now have the estimated mileage of your gas reserves indicated on the dashboard, so if you have 50 miles until empty, use those miles wisely. 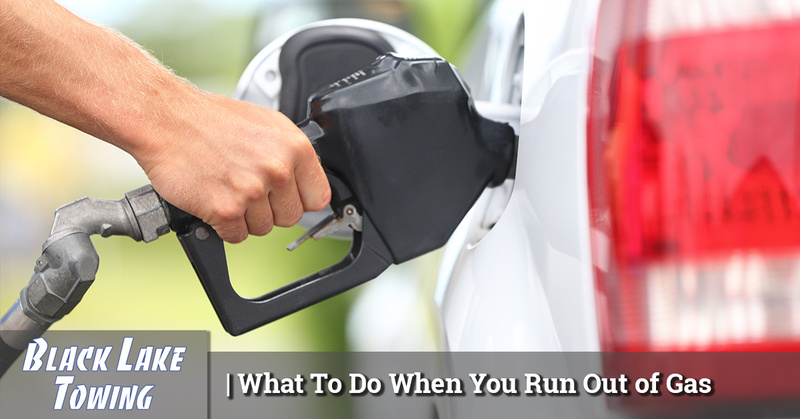 If you’re not in range of a gas station and know that you’ll run out of gas, call a tow truck as soon as possible. Did you know that 55 mph is the optimal speed to conserve gas? While it may not get you to your destination faster, it will take you farther. Don’t speed or it will only use up your limited supply more quickly. If you’ve hit the dreaded “E” on your fuel gauge and your car has stopped moving, pull onto the side of the road. Turn on your emergency flashers and raise the hood of you car so you’ll indicate to other drivers that you need help. While it can be scary to run out of gas, Black Lake Towing LLC is here for you during those stressful situations. Contact us for helpful and professional towing services in Olympia, Washington!